Congratulations Junior Varsity Boys Basketball Team!! 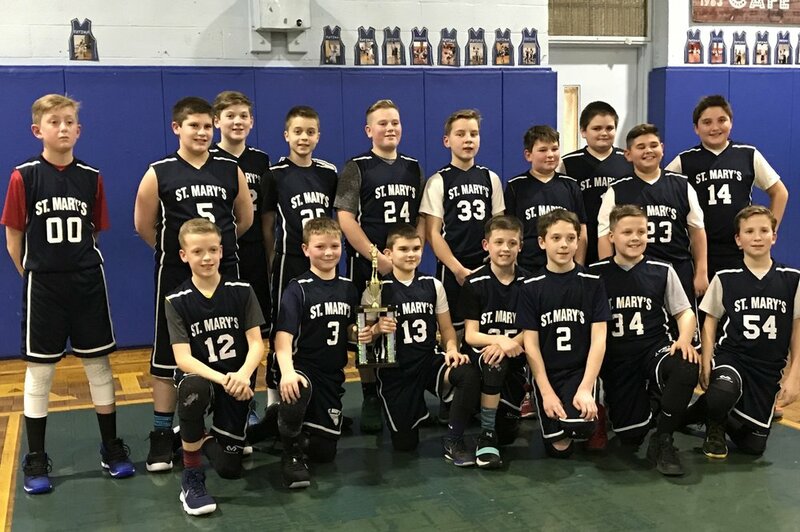 Congratulations to St. Mary School of Milford's 6th grade Junior Varsity Boys Basketball Team for winning the Our Lady of Fatima School Annual Tyler Ugolyn Memorial Tournament with a win against St. Thomas of Fairfield. Team members (L to R kneeling) Tim Swanson, Derek Rainey, Chris Harry, Peter Swanson, John Gerrity, Peter Swanson, Max Lula. (Standing L to R) Daniel Kron, Christopher DeProfio, Chase Bryant, Marko Joksovic, AJ Tkacs, Dylan Gregory, Griffin Fisher, Gauge Forget, Matt Savo, Michael Roney are currently enjoying an undefeated season. St Patrick parade coming soon! Spring Robotics Club Now Enrolling!